Go to school at the weekend-you must be joking! But we do. And weekdays after school. 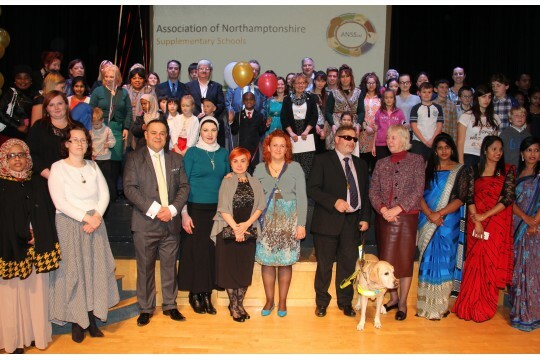 We are the umbrella organisation for the 20 supplementary schools in Northamptonshire and our role is to support them with training and development, and the interface between them and mainstream schools. We support achievement at GCSE and quality through accreditation schemes.We are part of a national network of supplementary schools and are the conduit for local, regional and national information to our schools. By supporting our schools they provide support for the children in the communities by either helping them access the national curriculum, teaching them their mother tongue, teaching them their heritage culture and how to be good citizens. We support community cohesion by developing collaborative training and events. We support integration because we are a bridge between the families and the wider society. Young people who are:- Confident and knowledgeable about their heritage. Confident with other communities. Achieving well at school. Gaining additional language GCSEs. Resilient to external and peer pressure. Good citizens. Willing volunteers.